Design Addict Mom: Happy Labor Day! Happy Labor Day if you're celebrating the long weekend. I have been working outside in the garden, repotting and soaking up the much cooler temps we've been having. I also made pesto using basil from the garden and can't wait to share that with you. Love this bedroom too Linda and I can't wait to share the pesto recipe! I hope you had a wonderful long weekend. 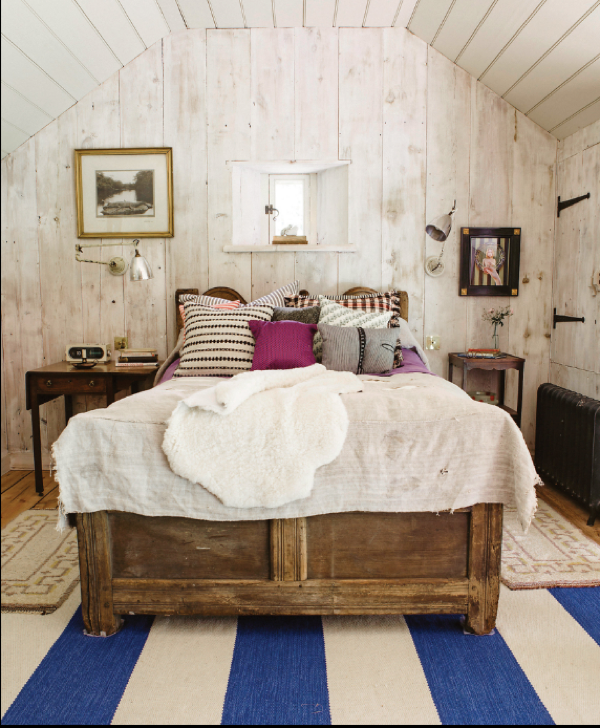 This bedroom looks just like summer to me! I actually just finished snipping some basil from the garden. It was a bit slow growing this summer because of the heat, but now that it's cooled off a bit, it is growing like crazy!